This is a fairly simple circuit. A potentiometer (pot) will control the game, and an OLED display will be driven by the Arduino. This will be produced on a breadboard, however you may wish to make this a permanent circuit and install it in a case. 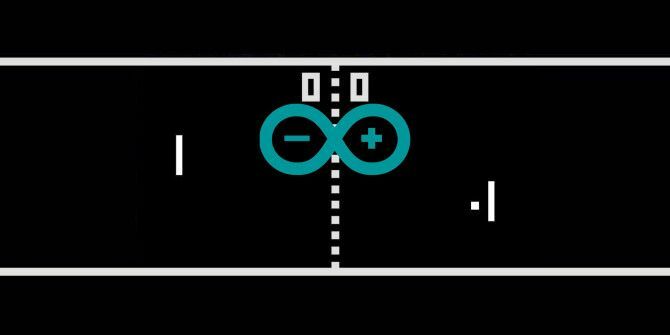 We’ve written about recreating Pong How To Recreate The Classic Pong Game Using Arduino How To Recreate The Classic Pong Game Using Arduino Pong was the first ever videogame that reached the mass market. For the first time in history, the concept of a "video game" was brought into the family home, thanks to the Atari 2600 -... Read More before, however today I will be showing you how to write the code from scratch, and breaking down every part. Any Arduino should work, so look at our buying guide Arduino Buying Guide: Which Board Should You Get? Arduino Buying Guide: Which Board Should You Get? There are so many different kinds of Arduino boards out there, you'd be forgiven for being confused. Which should you buy for your project? Let us help, with this Arduino buying guide! Read More if you are not sure what model to buy. These OLED displays are very cool. They can usually be purchased in white, blue, yellow, or a mixture of the three. They do exist in full color, however these add a whole other level to the complexity and cost of this project. This is quite a simple circuit. 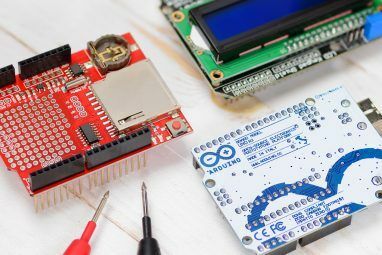 If you don’t have much experience with Arduino, check out these beginners projects 15 Great Arduino Projects for Beginners 15 Great Arduino Projects for Beginners Interested in Arduino projects but not sure where to begin? These beginner projects will teach you how to get started. Read More first. Looking at the front of the pot, connect the left pin to +5V and the right pin to ground. Connect the middle pin to analog pin 0 (A0). The OLED display is connected using the I2C protocol. Connect VCC and GND to the Arduino +5V and ground. Connect SCL to analog five (A5). Connect SDA to analog 4 (A4). The reason this is connected to the analog pins is simple; these pins contain the circuitry required for the I2C Protocol. Ensure these are connected correctly, and not crossed over. The exact pins will vary by model, but A4 and A5 are used on the Nano and Uno. Check the Wire library documentation for your model if you’re not using an Arduino or Nano. You will adjust this later on, but for now it’s fine. If nothing happens, or the value changes without you doing anything, disconnect and double check the circuit. If nothing happens after uploading, disconnect and double check your connections. If the examples are not in the menus, you may need to restart your Arduino IDE. Now it’s time for the code. I will be explaining every step, so skip to the end if you just want to get it running. This is a fair amount of code, so if you don’t feel confident, check out these 10 free resources Learn To Code: 10 Free And Fantastic Online Resources To Hone Your Skills Learn To Code: 10 Free And Fantastic Online Resources To Hone Your Skills Coding. A topic that is avoided by many. There are an abundance of free resources and tools, all of which are available online. Sure you could take some courses on the topic at a nearby... Read More to learn to code. SPI and WIRE are two Arduino libraries for handling the I2C communication. Adafruit_GFX and Adafruit_SSD1306 are the libraries you installed previously. 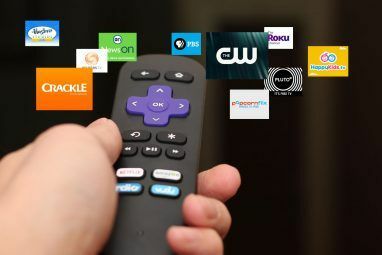 These store all the data necessary to run the game. Some of these store the location of the ball, the size of the screen, the location of the player and so on. Notice how some of these are const meaning they are constant, and will never change. This lets the Arduino compiler speed things up bit. The first line tells the Adafruit library what dimensions and communications protocol your display is using (in this case, 128 x 64 and I2C). The second line (display.display()) tells the screen to show whatever is stored in the buffer (which is nothing). These take the x and y coordinates of the ball and draw it on the screen using the drawCircle method from the display libraries. This uses the constant BALL_SIZE defined earlier. Try changing this and see what happens. This drawCircle method accepts a pixel color — BLACK or WHITE. As this is a monochromatic display (one color), white equates to a pixel being on, and black turns the pixel off. Notice how this method first erases the paddle, and then draws it again. This has to be done like this. If the new position of the paddle was drawn, there would be two overlapping paddles on the screen. This uses the WALL_WIDTH variables to set it’s size. Again, both of these methods use two for loops to draw a group of pixels. Rather than having to draw every pixel using the libraries drawPixel method, the loops draw a group of pixels based on the given dimensions. This method also has a eraseScore counterpart, that sets the pixels to black or off. Notice how they call the erasePixel method create earlier. These methods draw and erase the appropriate paddle. Add a menu for difficulty levels (change AI and ball speed). Add some random movement to the ball or AI. Add another pot for two player. Now take a look at these retro gaming Pi Zero projects 5 Retro Gaming Projects with the Raspberry Pi Zero 5 Retro Gaming Projects with the Raspberry Pi Zero The Raspberry Pi Zero has taken the DIY and homebrew world by storm, making it possible to revise old projects and inspiring newcomers, especially in the fevered minds of retro gaming fans. Read More . Have you coded Pong using this code? What modifications did you make? Let me know in the comments below, I’d love to seem some pictures! 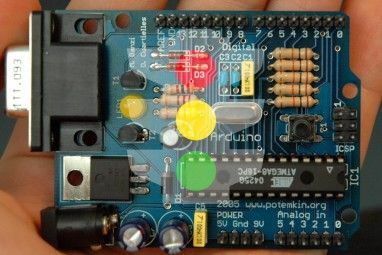 Explore more about: Arduino, Electronics, Retro Gaming. Hello, do you know, why when I upload this code, display prints only adafruit logo? I've tryed different libraries, but still nothing. Can someone tell me why I uploaded and did all the things shown on this page but nothing is showing up on my OLED board, I have changed three boards already. Thanks, very well explained. I will be using this for a dollhouse living room I'm building. I was wondering if you didn't optimize the code for the case of readability. You could have one function draw that takes color as an extra argument, eliminating the need for two seperate functions draw and erase. Same for the paddle functions, adding column as an extra argument eliminates the need for seperate AI and player paddle draw functions. Thank you Joe Coburn for explaining this difficult code so beautifully. Keep motivating us by writing such experiments.